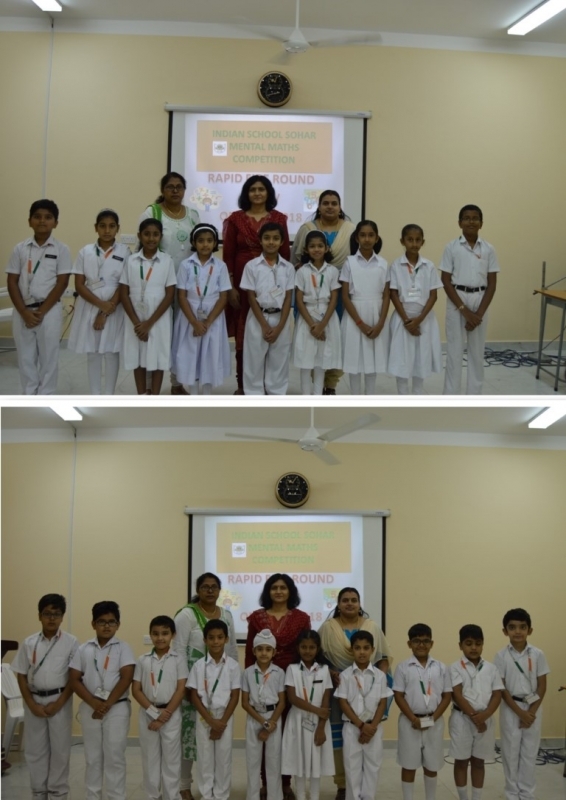 Mental Maths Competition was conducted in Indian School Sohar for the Classes III & IV on 28th Aug 2018. It was conducted to enhance better and faster calculation skills, improve problem solving abilities and to sharpen the concentration in children. The coordinator of the competition was Ms. Alice K Thomas. Swarnavo Banerjee bagged first position, Rojus Paul bagged second position and Visharad Khare bagged third position of class III. Rachit Amit Pandya and K. Sharada Datta bagged first position, Kale Rohit RamRao bagged second position and K. Prithika bagged third position of class IV.